The 14-year-old autistic boy who went missing after his friends say he took a city bus instead of a school bus home from his Coney Island school Friday has been found safe, police say. 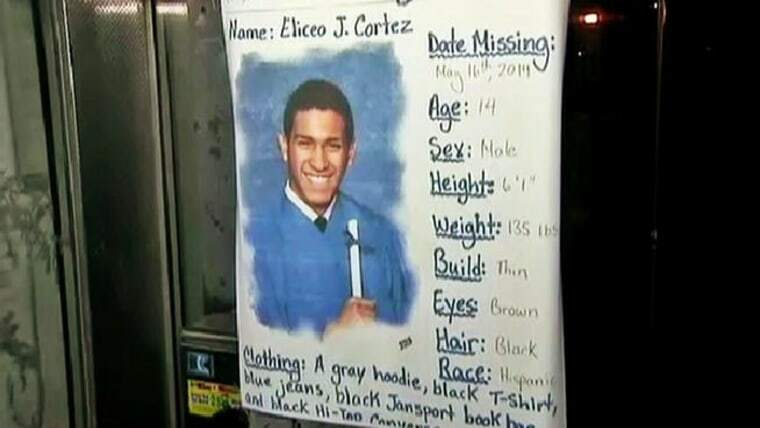 Eliceo Cortez's mother, Nancy Reavis, said her son was found near his school on Oriental Avenue. She said he slept in parks and had nothing to eat all weekend because he had no money. Cortez had been missing since friends said he got on a B49 bus to go home after school Friday rather than take the school bus, which he usually does. The boy's mother described him as "high-functioning" but had said he didn't know how to take public transportation. Reavis says she's not sure how her son got around over the weekend, but she's glad he's home. She said the school counselor who found him called her to give her the good news, and the mother and son cried as they hugged when they were reunited Monday. "When I seen him my heart started pumping," Reavis said. Reavis said she won't send her son back to school until she gets a one-on-one paraprofessional. The Department of Education had no comment.